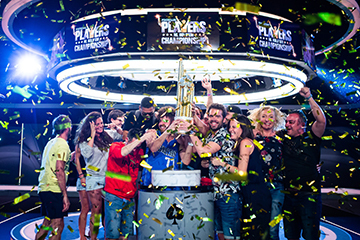 PokerStars announced today that Ramon Colillas from Barcelona, Spain, won $5.1 million and was crowned the winner of the PokerStars Players No-Limit Hold’em Championship (PSPC), the richest and biggest-ever $25,000 buy-in poker tournament. Platinum Pass winner Marc Rivera from The Philippines came in third place with $2,168,000. The 45-year-old won his ticket at the APPT Manila National Main Event with what was then his biggest live cash win. After being introduced to the game 12 years ago by his brother Ashley, who told Rivera he was “going to love it”, the engineer (at the time) has been playing ever since. When not on the felt, Rivera enjoys basketball, watching TV series and spending time at home with his family, playing with his son and daughter. The PSPC made it into the history books with a total prize pool of $26,455,500 awarded to 181 players, smashing the previous $15,495,750 prize pool record for a $25,000 event. Of the Platinum Pass holders, 43 collectively cashed in for nearly $9.8 million, including Jacqueline Burkhart from the United States with $86,400, Atanas Pavlov from Bulgaria with $105,000 and Ireland’s Sven McDermott with $69,100.